Central Sardinia is off the usual tourist trail but it hides some of the most spectacular countryside and is home to some of the more intriguing aspects of Sardinian daily life. Nuoro’s museum - The museo della Vita e delle Tradizioni Sarde is the island’s most comprehensive collection of costumes, masks and handicrafts – a fascinating overview of the rural culture of the interior. Cala Gonone - Accessible by boat or on foot, the secluded beaches around Cala Gonone are backed by limestone cliffs and lapped by crystal clear water. 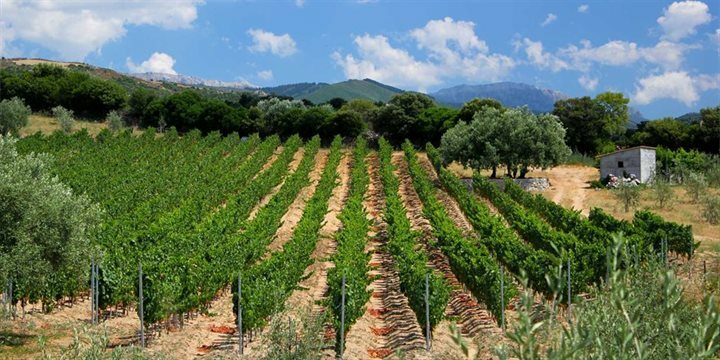 Oliena - Surrounded by vineyards, olive groves and almond orchards, Oliena is a picturesque town with quaint streets and a 15th century church. From here, you can get guided tours to the archaeological site of Tiscali, a Nuraghic village deep in the mountains. Piscinas dunes - A stunning stretch of coastline and 9km of sandy beach. Tharros - One of Sardinia’s pre-eminent archaeological sites, the ruins of a Carthaginian and Roman city occupy a magnificent spot on the very tip of the Sinis peninsula. Gorropu Gorge - One of the deepest and most spectacular in Southern Europe. It is also the highlight of one of Sardinia's best walks.